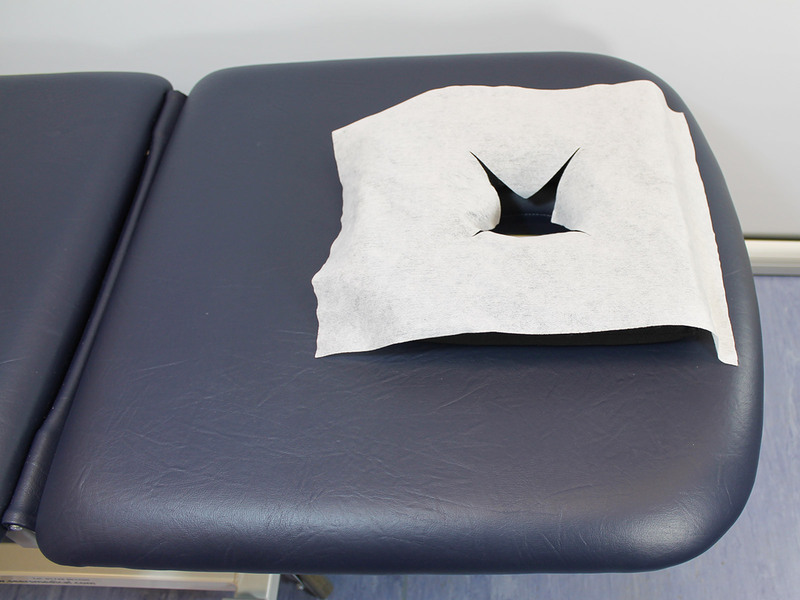 The disposable face hole covers provide optimal hygiene for your treatment couch and patients. 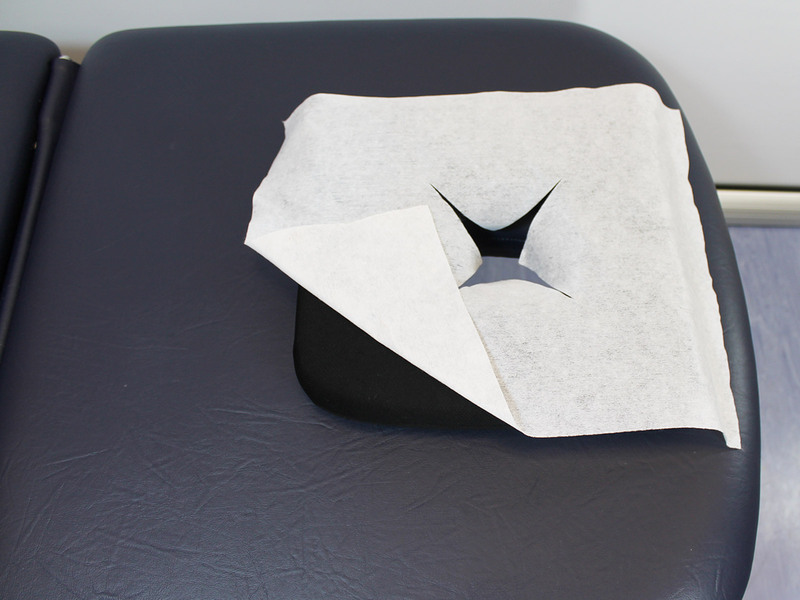 Each sheet features a cutout in the middle to simply place over the face hole of your treatment couch or a face rest cushion. 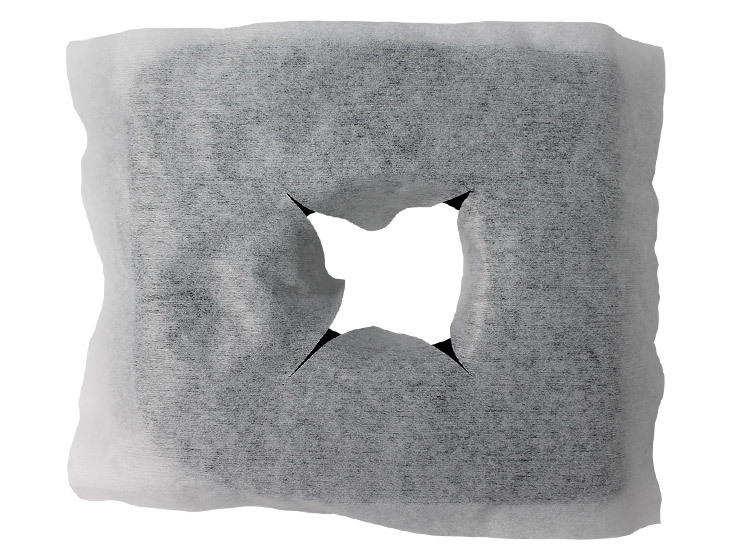 Supplied in a pack of 100 disposable sheets they can easily be changed for each treatment. Made from a soft non-woven comfortable material with cutout.